Nieman Lab has a story that you should read slowly and digest properly because a new trend is developing: slow journalism. Information overload and excessive screen time is reaching a point where many digital citizens simply want to slow down and manage the continuous feed of news and media content that is flooding at them. Media startups have emerged that provide slow and reasonable amount of news. Every book lover and, especially, author has mulled over of visiting a big book show. Just to see what all the fuzz is about and perhaps to encounter a famous author or two. Well, primarily big book fairs, like Frankfurt are for publishing professionals, but London is targeting at self-publishers as well. Here is a first-time visitor’s story from the London Book Fair. The legendary Article 11 and Article 13 have made history. The European Union Parliament approved a new set of laws, including clauses 11 and 13, that set stronger and better defined limits to the use of copyrighted material on the internet. Feelings ran high for months before the vote, but now the new era is reality. EU member states have two years to implement the copyright law into their own legislation. 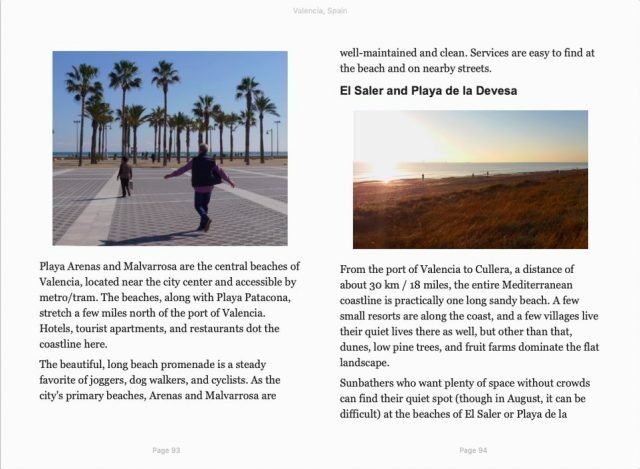 This guidebook shows the most exciting sights, places and events in Valencia on the Mediterranean coast of Spain. Download and get the tips from the ebook before heading to sunny South Europe. What to do if your nonfiction market disappears into a black hole? Jay Artale tells a fascinating story in the life of a nonfiction writer, when her market suddenly disappeared into a black hole. She raises an important point for every full-time writer: always have a plan B.
Pew Research has conducted a 2018 survey of reading habits of U.S. residents. 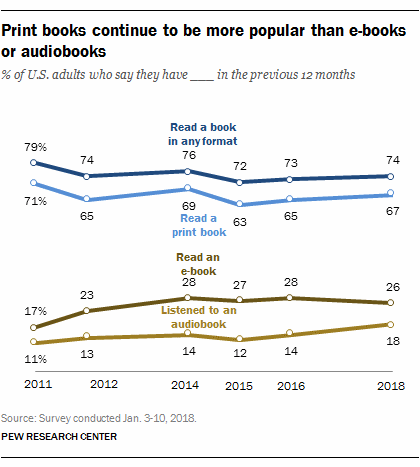 Ebooks and print books remain steady, whereas consumption of audiobooks is still growing relatively strongly. Apple introduced Arcade, a gaming service with monthly subscription, TV+ movies and television shows, and News Plus magazines and newspapers for a monthly fee. Whereas magazines have joined the News+ service, newspapers are avoiding it. I have been waiting for a service like this, but since it is unavailable outside North America, the rest of the world still has to wait. Mental Floss discovered a neat program at Wordery bookstore’s web page that shows the bestselling book for each year. The idea is that you enter your age and it displays the most-talked-about book for the year you were born, but you can scroll back and forth through the years. The books are from The New York Times bestseller list, primarily reflecting North American market. 2019-04-01 by Manuel in News. Tags Apple, copyright, EU, London Book Fair, news, Pew, plan b, slow journalism, Wordery, writer. 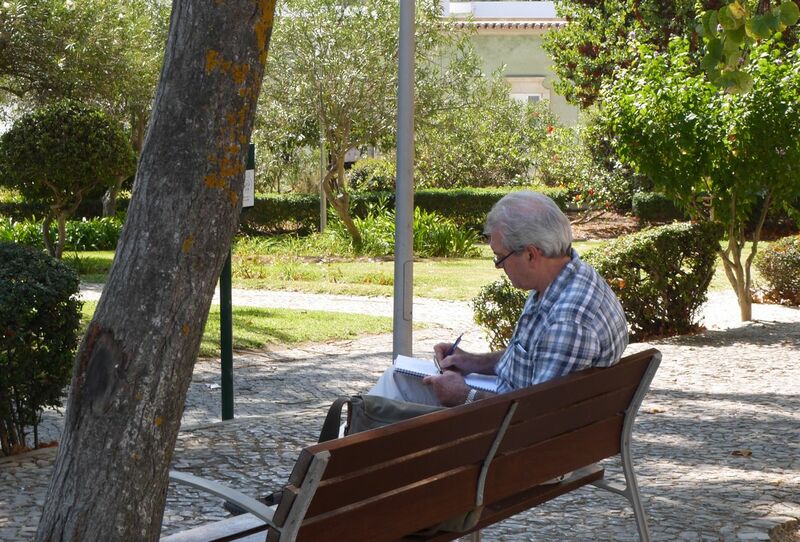 Writing long works, like books requires persistence and patience. Excuses don’t advance a project. Write Nonfiction Now has tips for writing even when difficult situations in life challenge all good intentions to work. 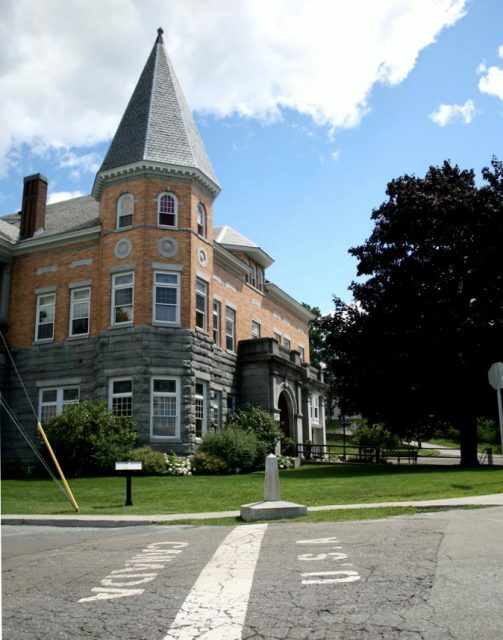 Reuters tells a fascinating story of a small library that happens to be located on the border between the US and Canada. The library has two entrances: one from Canada and another from the US side. Families or friends separated by the border can meet in the library without having to carry passports or visas. Merriam-Webster online dictionary know which words are difficult for writers who look those words up from a dictionary. Daily Writing Tips has listed the top 10 words, so you don’t have to search them from the dictionary. Max Boyle decided to find out the truth about a country where the earth’s most honest tribe is said to be living. He made multiple journeys into this Scandinavian country where encounters and adventures taught him a lot about the Nordic culture. Here is the book where he tells it all. EU is in the process of passing new laws that will make existing copyright laws stricter and above all, more straightforward on the internet. Whereas writers tend to favor the new regulation, video makers and viewers are not necessarily happy about the changes. This article explains the contents and consequences of EU’s new copyright laws. In 2019, the world’s most famous bookshop celebrates its 20th birthday in London, UK. The bookshop is way older than 20 years, but the movie Notting Hill was released then, and we all know how central location The Travel Book Co is for the movie. A recent trend witnessed by the shop owners is couples from across the world who make a pilgrimage to the shop and get engaged or even married between its bookshelves. The iconic Glamour magazine won’t be printed anymore, but will be published online only. The magazine’s editor-in-chief arguments: “This is my plan, because it makes sense. [Digital is] where the audiences are, and it’s where our growth is. That monthly schedule, for a Glamour audience, doesn’t make sense anymore.” This is remarkable because a glossy magazine like Glamour is made for browsing, but naturally, video clips and images are attractive on a digital publication as well. 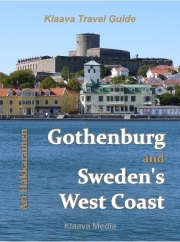 In the northernmost continental Europe – Norway, Sweden and Finland – cities are few and forests are vast. There is plenty of space, for instance, to grow trees that will be used for creating paper books in 2114. An art project in Oslo, Norway is archiving one story each year written by established authors. 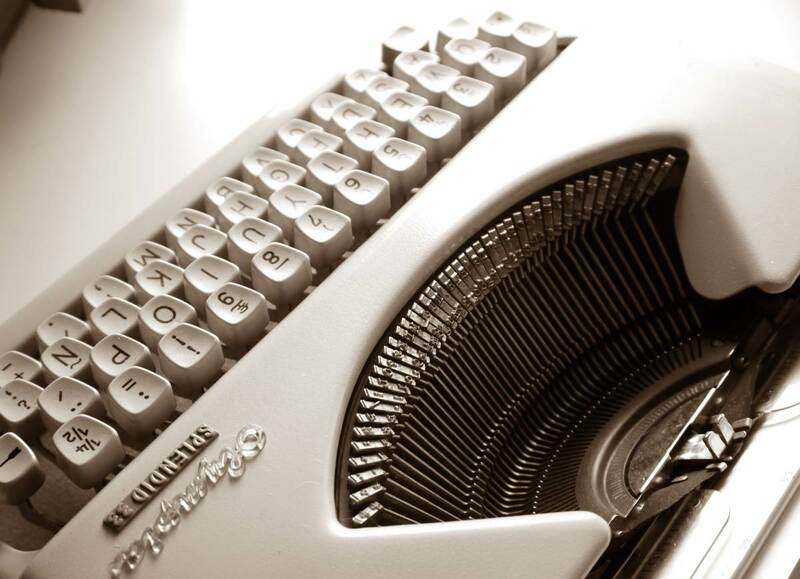 The stories will be published in 2114. Margaret Atwood was the first writer to save her new story into this forest archive. 2018-12-03 by Manuel in News. Tags Atwood, Canada, copyright, Glamour, Haskell, Merriam-Webster, Notting Hill. The Parliament of European Union has accepted the new Copyright Directive proposed by the Commission. The EU Parliament, Commission and Council will negotiate the details, aiming at having the law proposal ready for EU member states by the end of 2018. Although some details may still change, the overall purpose and objectives have been accepted by the Parliament. What does the new EU copyright directive mean for authors and book publishers? The article 11 and article 13 are the most discussed items in the copyright directive. The directive includes many other important items, like making digital content product available across borders (inside EU), making it easier to deal with data mining in research institutions, and other clarifications for use of copyrighted material in academic and educational environments. 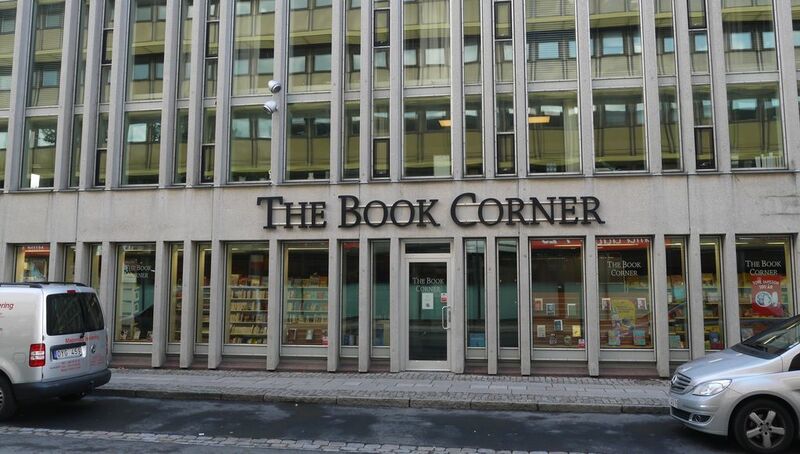 The article 12 deals with author-publisher relationship directly, aiming at giving publishers more rights for compensation when a work is licensed, for instance, to a library. 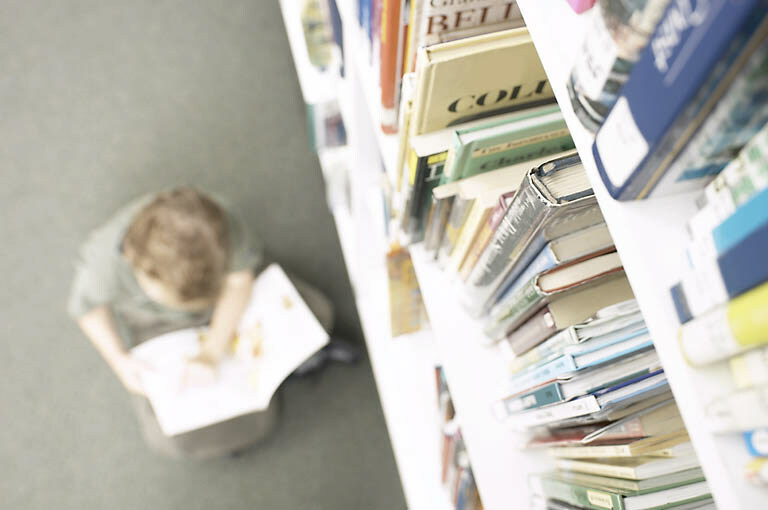 In many countries, libraries pay small fees to authors for book loans. Publisher don’t usually benefit from this. The directive wanted to make it possible. Some national author organizations were concerned about the article 12 that it would have restricted author’s copyright, but the wording of the article was changed to clarify it before the Parliament voted. Some European countries, like Germany and Spain have already tried to make big internet service platforms pay for the content they extract from newspapers and other news sources. Often this involves the title, a snippet and a link to the page where the news was published. So far, attempts to charge news aggregators like Google have failed. It may appear an innocent activity, but when companies, such as Google and Facebook do it on a massive scale, it is actually a good business case for them. Valuable free content that an algorithm only has to sort and display to visitors. 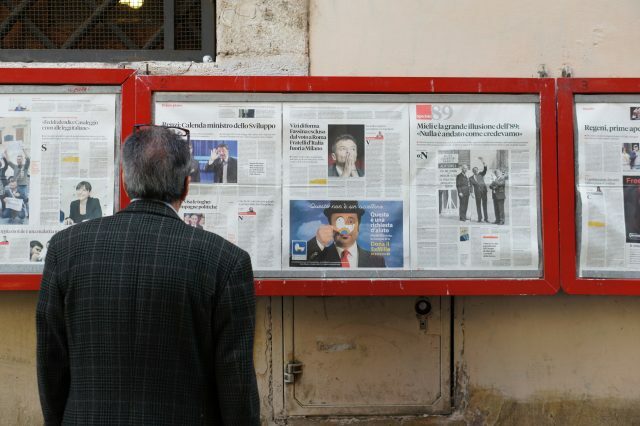 The new directive gives news publishers a strong negotiating position to charge news aggregators and other internet services that use publishers’ news items in newsfeeds and other functions of their sites. Authors and book publishers who have blogs where they comment on news and link to news sources need to follow closely what the exact requirements and practices for free linking and referring to news sources will be as EU negotiations proceed. Linking to an external web page, and extracting text or photos from an external web page are two completely different things. I have not been able to find anything in the EU Directive that would restrict linking to web pages, be it a newspaper or anything else. In the EU, a creator of a work (author, composer, film maker) always owns the copyright to the work. He or she can transfer (sell) the rights or partial rights to someone else, like a publisher. Anyway, the owner of the rights decides where, how and who can read, listen or view the work. This basic principle of copyright law hasn’t changed at all, but EU wants to adopt Article 13 that enforces the rights owner’s rights specifically on the internet. The article more or less directly addresses dominant internet services, like YouTube, Facebook and Wikipedia “service providers that store and provide to the public access to large amounts of works or other subject-matter uploaded by their users”. EU’s point seems to be to make it absolutely clear that an internet service platform is responsible for all the content available on the service – user-uploaded or otherwise made available. It also makes it clear that all copyrighted works shared on a platform must have the rights owner’s explicit consent. There are no grey zones anymore. The rights owner is entitled to a decent compensation if he or she has agreed that the work is made available on an internet service. The curious thing in the article 13 is that it mentions “effective content recognition technologies” as a measure for preventing unlicensed content on a sharing service. Why on earth does it have to mention how a monitoring task can be executed? Leave it to the innovative businesses to create a solution. Hopefully this will be changed or removed during the negotiations. For an author or book publisher, the article 13 is not earth-shattering news. If a copyrighted ebook has been uploaded to a sharing service, it has always been a copyright violation and the rights owner has been able to ask officials to intervene. Online encyclopedias that have borrowed lengthy pieces of content from nonfiction books should look into their practices before problems arise. Also some fan fiction services may have content available extracted from fiction books. Right owners’ consent must be sought in each case. Most music makers, photographers, film makers, writers and publishers are happy to see a strong stance in favor of copyright protection, but some artists see risks in restrictions. The EU directive is trying to level the playing field between the rights owners (who can be a self-published author without any legal help) and internet giants that dominate search, advertising, social media and sharing services. New works – music, films, books, photos – can be, and always have been, created using existing works more or less directly in the process. In the digital era, a new song can have the tune of “Every Breath You Take” but with new words and beat. Digitally merging old and new photographs or video clips is easy. Sharing exciting video clips and funny photos or pieces of texts on social media is so common we don’t think about it anymore. Sometimes, someone has done a lot of work to produce that piece of work. Loud advocates who want the current fuzzy situation to continue argue that preventing sharing or mixing is against freedom of speech and harmful for the entire internet. It is true that EU’s new directive is straightforward with copyright owners’ rights, and eventually it will have an impact how sharing, mixing and news aggregation services operate on the internet. The services must change their processes so that all new content that becomes available on the site has cleared ownership checks, and if it is a copyrighted work, an agreement with its owner is in place. Very little, if anything, will change because of EU’s new copyright law for an author who is writing his or her next book, or for a publisher that is investing in the production of a new book. The business model, after all, is still the same for them: produce an original work and market it to an audience that pays for the product. 2018-09-16 by ari in Publishing, Writing. Tags aggregator, author, Commission, copyright, EU, Europe, internet, Parliament, platform, Union. Peer support, sharing experiences and information can help every writer at some point of a writing life. Writers are not always extroverts who are happy to chat with anyone, but finding colleagues is definitely worth the effort. A long article worth reading that doesn’t explain the techniques of travel photography, but, for instance, the importance of research. So, read a travel guidebook for your destination first. The author arguments that ebooks work particularly well for companies that operate in business-to-business markets. I would add the most important tip: Learn as many languages as you can. Usually, however, it is too late because you are already in Bucharest or Lisbon and realize no one speaks English. At least, then you should learn the basic local greetings and shopping terminology. Free ebooks are mostly one way or the other related to North America, but they are adding new titles all the time. Important copyright laws are being prepared in the EU. Consequences are far reaching and potentially restrictive if you are not a big publisher arguments EU MEP Julia Reda. It is strange that every organization that collects and publishes bestseller lists show different ranking. The writer may want to have a look at Author Earnings reports as well. 2017-04-13 by Manuel in News. Tags Assange, copyright, nomad, photography, Reda, writer. On April 18th, 2016 the US Supreme Court ruled in favor of Google in its long legal fight against the Authors Guild organization. The April 18 ruling means that the Supreme Court will not review the case that originally was filed in 2005 against Google by the Authors Guild. The Authors Guild initiated the court case 11 years ago because the association believed (and still believes) that Google was violating copyright laws. In 2004, Google started scanning books stored on the shelves of libraries, archives, universities and other places that had large book collections. The objective was nothing more or nothing less than to scan all the books of the world and make them searchable online. For Google, it was a mission of making all written information the humankind had created available to everyone. On the side, it could serve ads to visitors who were browsing the indexed books and make a profit. Google started the project without asking for permissions from anyone. Google’s savvy engineers simply built clever and fast scanning machines for the job. Company’s huge data centers were ready to index and store everything that could be recovered from old (and new) books. In the early days of the project, the U.S. based Authors Guild organization that looks after the interest of writers tried to negotiate with Google. The Guild wanted Google to stop scanning books or start paying royalties for authors whose books were not in public domain. Google declined, stating it only makes extracts available, but since then, the company has been in court in the US and in some other countries. 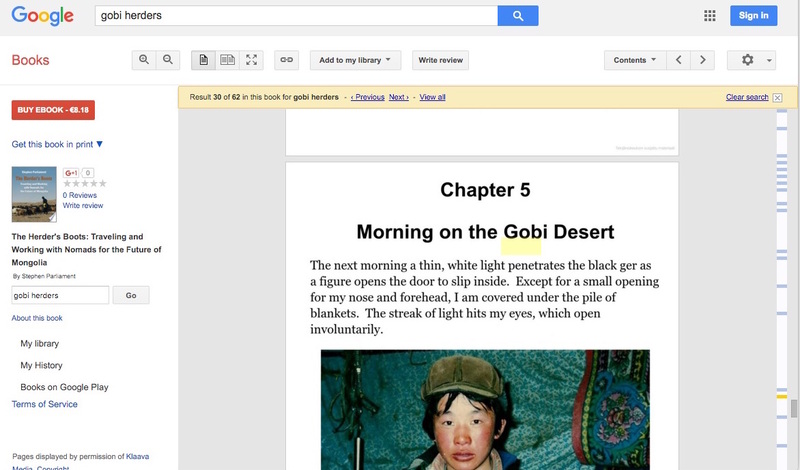 It has been estimated that Google had scanned 30 million books in 2012, and the work continues. Now, however, Google has won the case, and that should be the end of it in the U.S.
You can take a look at how Google Books works by visiting the Google search page and choosing Books. When you search, the results will be extracted from books only. This means not only old pritn books but also new ebooks. When, for instance, Klaava makes a new ebook available at Google Play online bookstore, it also automatically becomes searchable in Google Books. You can read random pages of a copyrighted work, but not the whole book in Google Books. In Europe, EU kicked off the Europeana program in 2005 to preserve the cultural heritage of European countries. 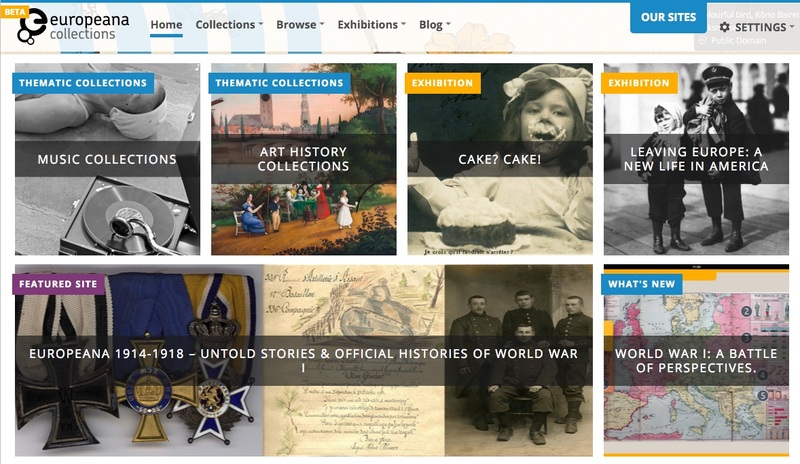 Europeana stores digitally works that have entered the public domain. It has archived more than 52 million books, artworks and other items so far. If you are interested in history, cultures or art, it is a highly recommended destination. Europeana is run by the European Commission and hasn’t been in court because of suspected copyright violations. What does the Google vs. Authors Guild court ruling mean for authors? Not much. Perhaps some out-of-print books will be made available as ebooks because there is enough interest among audiences to read them. It should not be harmful for authors that brief extracts are available for searching and viewing. It helps book discovery and probably silences the urge to demand a share of revenue that Google makes from ads it may some day display with the book extracts. 2016-04-20 by Klaava in Books. Tags authors, copyright, court, Google, Guild.